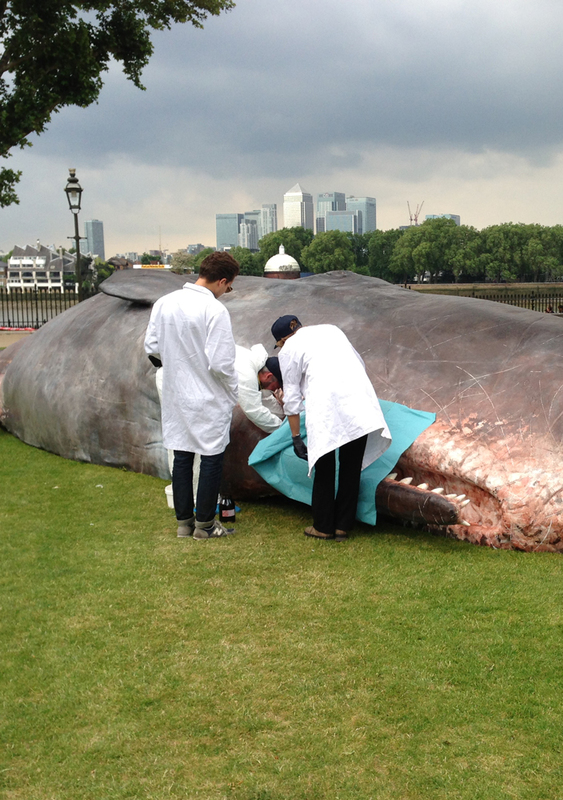 A life-size, hyperreal statue of a sperm whale beaches on the shores and river banks of the old world… A black giant with jaws wide open, eyeing the sky. A dumb question from the sea to man. A riddle from the deep. 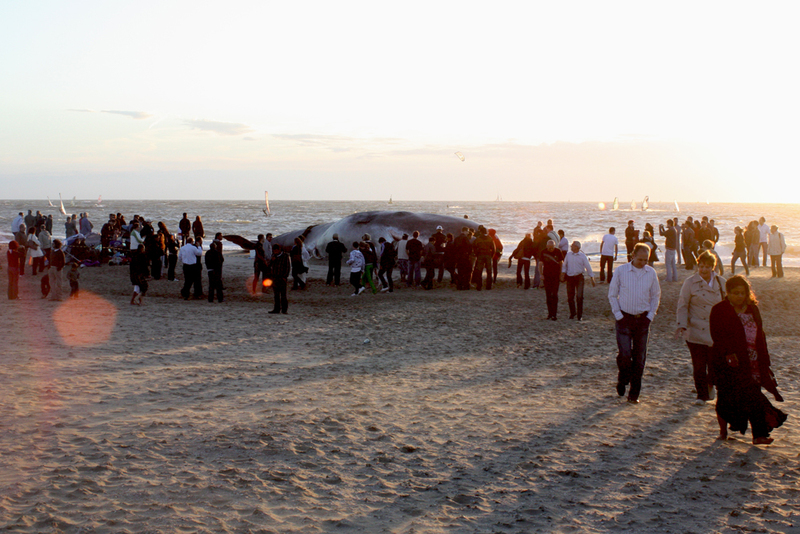 The beaching of a whale has always been a magical event. Villages trembled and were exhilarated when it happened. This is what we reconstruct. 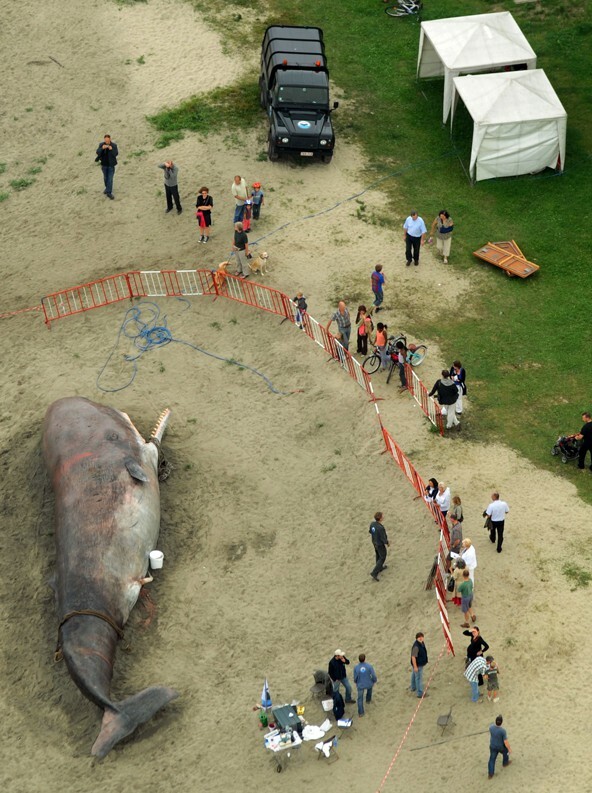 At the same time the beached whale is a gigantic methaphor for the disruption of our ecological system. People feel their bond with nature is disturbed. The game between fiction and reality reinforces this feeling of disturbance. The psychological archetype of the dead big fish leaves no one untouched. It stirs and mobilizes a local community. 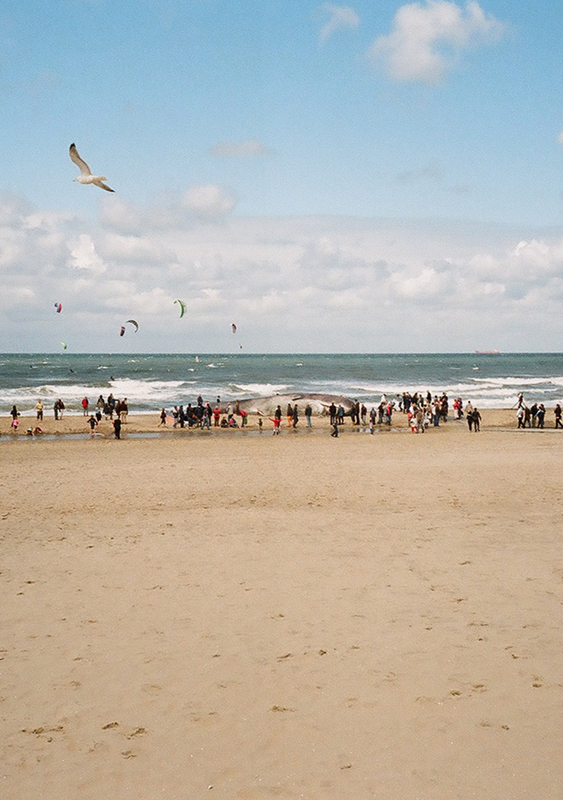 During our beachings, we see an intensive interaction among the crowd. People address each other, speculate and wonder. They offer help and ask for information. The different layers of perception create funny games. Some audience members know it is a work of art but feed the illusion to other people. 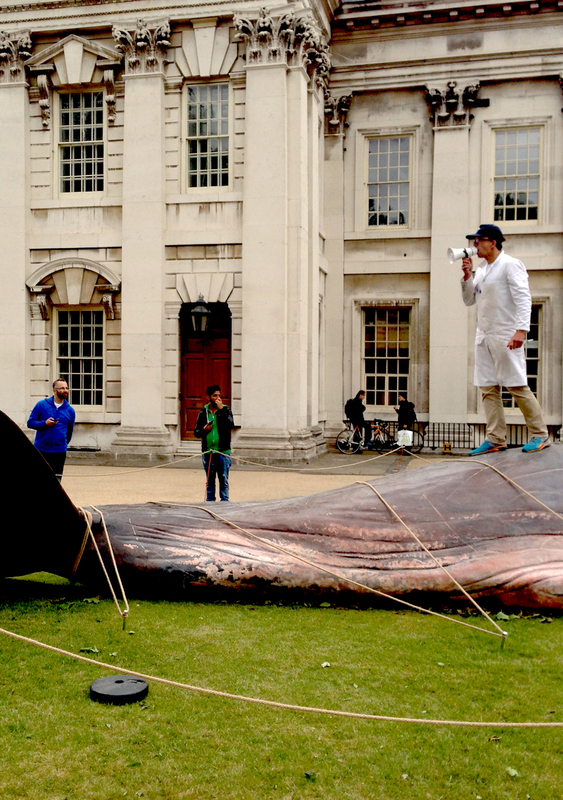 The sperm whale appeals to everyone, regardless of social or cultural background. It is the place where everyone gets together. That’s why it is vital it beaches on a public spot that is freely accessible. There is an important educational dimension to the beaching. Together wih real scientists, we supply ample information about sperm whales and why they beach. The audience witnesses a scientific intervention. Autopsy, sampling, dissection, etc are acted out in detail. We also show people parasites, teeth and samples of skin and (real) spermaceti oil. The site is often very popular with school classes and children.